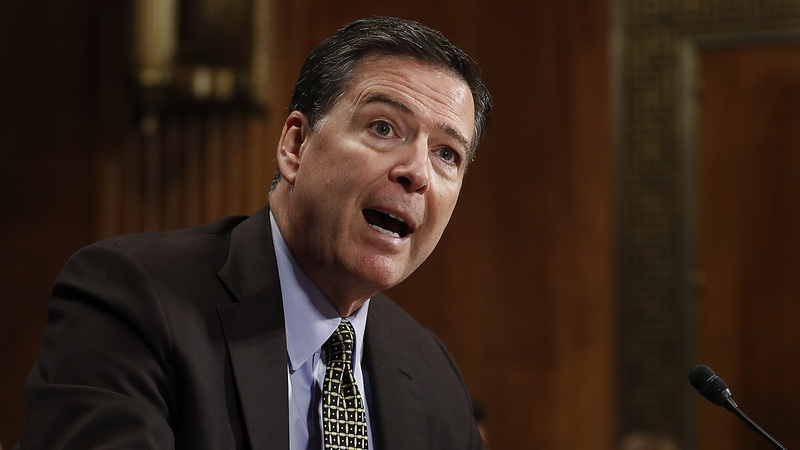 WASHINGTON, DC -- With fired FBI Director James Comey's highly anticipated congressional testimony just a day away, the White House and its allies are scrambling for ways to offset potential damage. Asked Tuesday about the testimony, President Donald Trump was tight-lipped: "I wish him luck," he told reporters. Justice Department spokesman Ian Prior declined to comment. He said Sessions "doesn't believe it's appropriate to respond to media inquiries on matters that may be related to ongoing investigations." An ad created by the pro-Trump Great America Alliance - a nonprofit "issues" group that isn't required to disclose its donors - casts Comey as a "showboat" who was "consumed with election meddling" instead of focusing on combating terrorism. The 30-second spot is slated to run digitally on Wednesday and appear the next day on CNN and Fox News. White House officials appear eager to keep the president away from television and Twitter Thursday, though those efforts rarely succeed. White House spokesman Sean Spicer said the president plans to attend an infrastructure summit in the morning, then address the Faith and Freedom Coalition's "Road to Majority" conference at 12:30 p.m.
"The president's got a full day on Thursday," Spicer said. You can watch James Comey's testimony live on ABC7 News on air and online. George Stephanopoulos will anchor ABC News coverage beginning Thursday at 7 a.m.